The Jezabels are an Australian four-piece indie, alternative rock and disco pop musical group which formed in 2007. They consist of Nik Kaloper on drums, Samuel Lockwood on lead guitar, Hayley Mary (also known as Hayley Frances McGlone) on lead vocals, and Heather Shannon on piano and keyboard. They have described their genre as “intensindie” and released their debut studio album, Prisoner on 16 September 2011. From 2009 to 2010 the group issued a trilogy of extended plays, The Man Is Dead, She’s So Hard and Dark Storm – with the same producer and engineer, Lachlan Mitchell. Prisoner peaked at No. 2 on the ARIA Albums Chart. Two of their releases have reached the ARIA Singles Chart Top 40, Dark Storm (October 2010) and “Endless Summer” (August 2011). 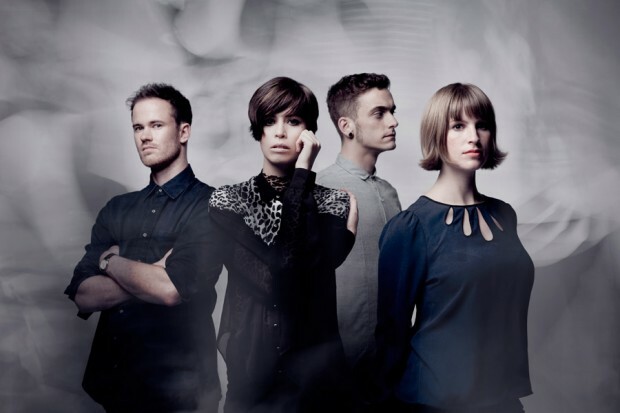 At the ARIA Music Awards of 2012, The Jezabels won ‘Best Independent Release’ for Prisoner. Wikipedia®.